About one in three of all businesses in Mainz have a surname in their company name. "The surname is a unique selling feature, especially in the case of long-established retailers," explained Fabian Fahlbusch of the German Department of Johannes Gutenberg University Mainz (JGU). "A surname represents tradition, reliability, trustworthiness, and integrity." Fahlbusch has closely studied the names of all the nearly 3,100 companies in Mainz with regard to how they are formed and what distinctive features they have. In 1830, Eberhard Schaefer opened a perfumery in Mainz and named it after himself. 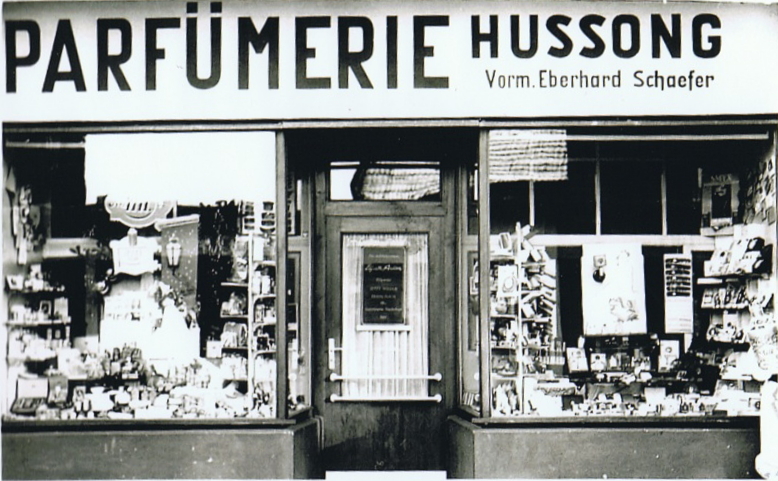 Helene Hussong purchased the business in 1938 and operated under the name "Hussong Perfumery, formerly Eberhard Schaefer." When it underwent restructuring in 1963, the company relocated and from then on was known only as "Hussong Perfumery." The Popp family took over the business in 1991 and called it "Popp's Hussong Perfumery". Using this example of the history of a typical Mainz business, Fahlbusch illustrates how surnames are used in company names and how these naming practices are subject to change. "The founder's surname is often retained, even if the business is taken over by a new owner, so that they can continue to benefit from the customers' trust in the established name," explained the linguist. Fahlbusch's analysis has shown that about 30 percent of Mainz company names (957 of 3,098) include a surname, such as "Christian Stark Real Estate," "Ditsch Pretzel Bakery," "Löhr Automobile," and "Georg Schmitt Freeway Courier Service" – four examples in which the surname is juxtaposed with one or more different terms, with no apparent direct linguistic relationship between name and terms. "In all, 85.3 percent of the Mainz company names that include surnames are formed this way," stated Fahlbusch. Particularly popular is the use of juxtapositioning, with the surname placed to the left. "This is probably because it is immediately obvious who produces or is providing what is on offer." The process of creating company names using surnames is subject to continuous changes. While company names with surnames are still common in owner-managed single enterprises with a few employees, a progressive depersonalization is observable that is determined by the business's increasing capital market orientation, size, and international status. "First the forenames disappear, then the use of surnames is progressively abandoned as the companies increase in size," the Mainz linguist explained. For instance, it would be quite impossible for all surnames to appear in the name of a publicly traded company that has many shareholders and thus many owners. Businesses that are active in international markets, in particular, prefer to have short names that are memorable and easy to pronounce.